2. Prepare an elevator speech or practice talking about your blog. You may only have a few moments to share your blog with someone. Be prepared with your top points and what you love about your blog. PRACTICE!!!!! Tell your friends, family or anyone who will listen what you plan to say. Practice will help take the jitters out when you meet that amazing destination you have been dreaming about talking to. 3. Make appointments/coffee dates. TBEX is a great time to get to know not only industry reps but fellow bloggers. Reach out and see if you can make a speed dating appointment or coffee meeting. If a companies speed dating is full ask if you can meet for coffee or a cocktail. 4. Look up from your phone and talk to people/Be present. I know we all want to keep the world updated on what is happening at TBEX but remember to look up and be social. Talk to the people around you, introduce yourself and just enjoy the moment. You never know who will be sitting next to you in a session. Remember to be present. Remember to look up and absorb the moment. TBEX is an amazing experience! Take a moment to soak in the atmosphere, the fact that you are in a gorgeous city and that you have the chance to talk with both industry leaders and peers. 5. Dress for success. Dress for who you are meeting with and come prepared. I am not saying to dress in a business suit or formal wear but remember who you are meeting with. Represent your brand in a way that shows that you are the perfect person/entity to work with for their destination/brand. 6. Participate in pre and post TBEX trips. This is the perfect way to meet other writers and share knowledge. Some of our best contacts have come from pre and post TBEX tours. You have the opportunity to share amazing experiences together and get to know each other on a personal level. The people you meet on these trips may be the same people that introduce you to your dream destination. 7. Get social! Use the TBEX hashtag and check out who else is on social. Ask questions, comment, respond and get to know people before you land in Athens. 8. Be yourself! Please don’t try to be someone you are not. Be yourself and have fun! You are participating in an amazing experience and have the opportunity to get to know wonderful people. BUT don’t have so much fun that you can’t remember what happened the next day. 10. HAVE FUN!!!! Greece is amazing! Have fun! Soak up the atmosphere, enjoy the amazing food, and get to know your neighbors! Author Bio: Tammilee Tillison is a professional blogger from Washington State that uses her Masters of Business Administration degree to create a thriving blog in the competitive world of travel blogging. Moving from the corporate world to the blogging world, she has grown her blog, Tammilee Tips, to over 500K page views a month and has readers in over 170 countries. Her social media outreach encompasses over 250K fans. Tammilee has a passion for food, travel and helping others. 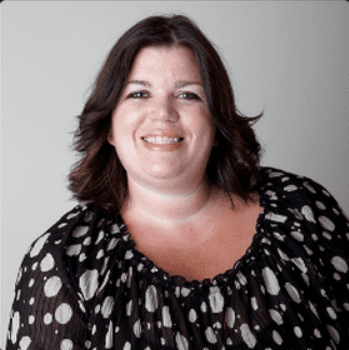 You’ll want to catch her session at TBEX Athens about Building a Blogging Business: Getting it Done Every Single Day.